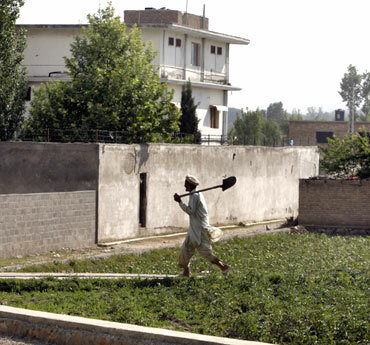 With its ally Pakistan under attack for its failure to locate the hideout of Osama bin Laden near its capital Islamabad, China on Thursday strongly came to its rescue, saying the global community should "understand and support" Islamabad's anti-terrorism efforts. "Pakistan is at the forefront of international counter terrorism efforts. As for question, the international community should understand and support Pakistan," Chinese foreign ministry spokesperson Jiang Yu said. She was replying to a question about US criticism on Pakistan's anti-terrorism efforts in the light of the discovery of bin Laden residing close to a military academy and calls for Washington's aid to Islamabad. "We support Pakistan's position and understand and support Pakistan formulating and implementing counter- terrorism strategy based on it national conditions," she said, reiterating her stand two days ago extending firm backing for Islamabad in the face international criticism after Osama was spotted and killed by US forces in Abbottabad. 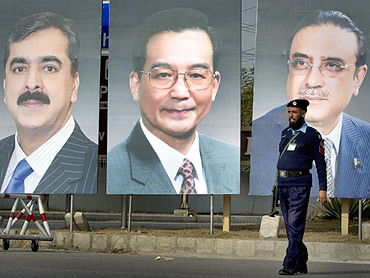 Jiang said China also appreciated "Pakistan's active participation in international counter-terrorism efforts". She, however did not reply to a question whether China will increase its assistance to Pakistan, which is it strategic ally. She also did not directly respond to a question on whether the US was right in entering into sovereign country to hunt terrorists. On China's counter-terrorism policy, Jiang said China also suffered from terrorism and named the separatist outfit East Turkestan movement active in Muslim Uygher dominated Xingjian province bordering Pakistan. "Some terrorist forces are engaged in great many terrorist activities for the purpose of splitting China and seriously threatens China's internal security and regional peace and stability," she said. 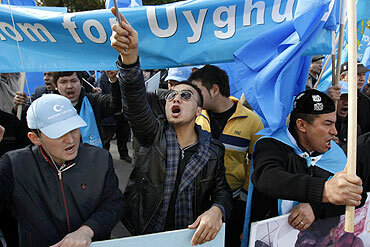 "Combating East Turkestan terrorist forces is important part of international counter-terrorism campaign and the international community should step up coop to fight against terrorism together," she said referring to the ongoing movement by a section of Uyghur separatists in Xingjian seeking an independent country by the name of East Turkestan.